MFC Derm (Beverly Hills) - Book Appointment Online! 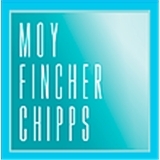 Renowned in the fields of dermatology, facial plastics, and custom laser treatments, Moy-Fincher-Chipps is dedicated to customized patient care for desirable results and minimal recovery time. Our reputation for excellence is based on remaining at the forefront of innovative procedures and techniques to correct the signs of aging, treat sun damage, and address general and cosmetic skin care concerns. She was very thorough and took her time. Let me start off with their front staff, who were amazing and super informative. I had to wait for a short time because I had walked in early and it was also a Saturday appointment, which is totally understandable when you have early bird patients! They took my info right away and I waited less than 10 min to see Dr. Herrmann. Dr. Herrmann was great!! She listened to my entire story of why I needed to be there. After my information overload, she gave me several options and also kept in mind my desire to not be on any more medication than necessary. She also is conscious of how costly medications can be and refers you to a pharmacy they work with closely to provide with the most economical option!! Dr. Herrmann was not only very informative, but she also made me feel comfortable talking about something that makes me insecure and stressed out. She's GREAT!! It also doesn't hurt that the majority of the doctors are also UCLA ALUM!! !